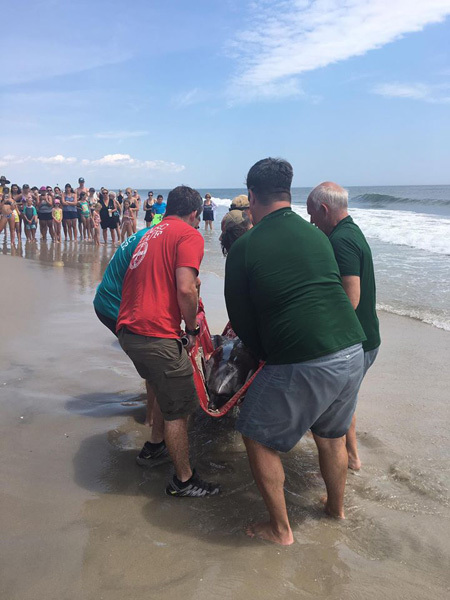 SEA ISLE CITY, N.J. (WLS) -- A group of beach-goers helped rescue a dolphin that had beached itself along the New Jersey shore. 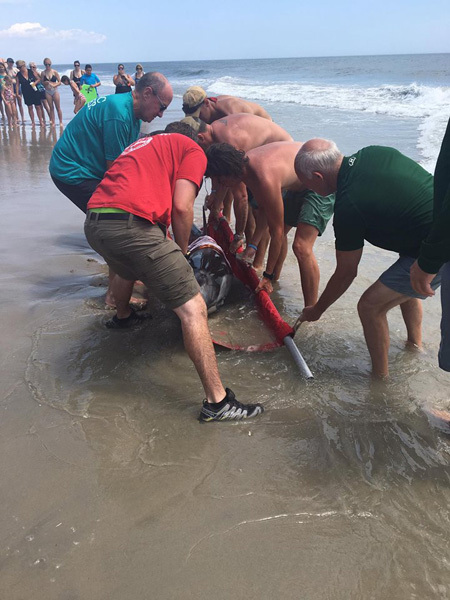 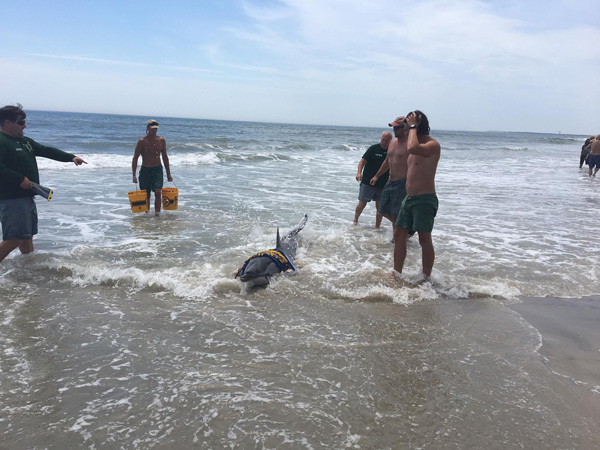 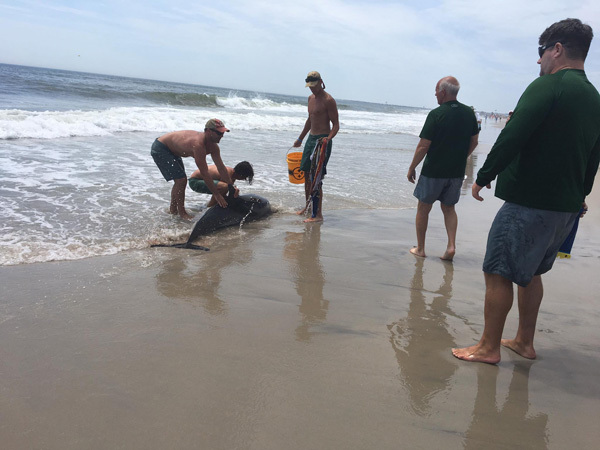 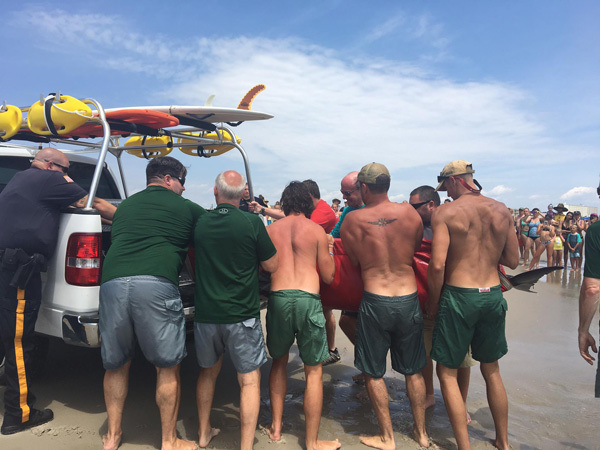 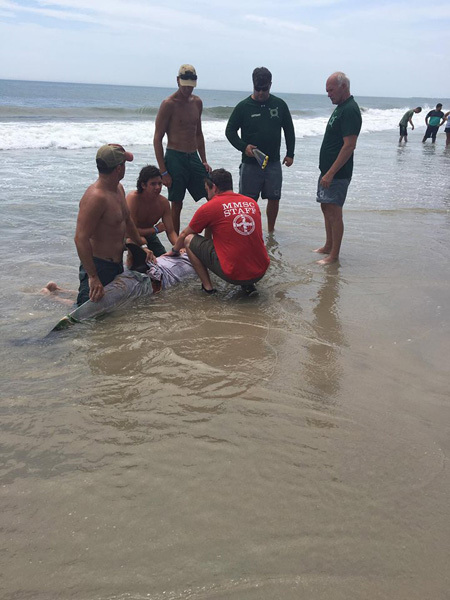 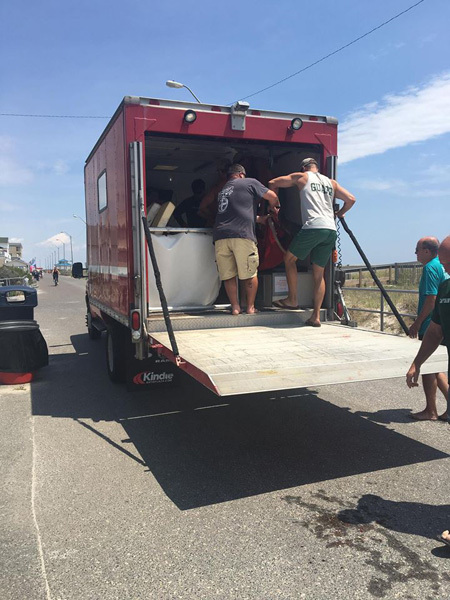 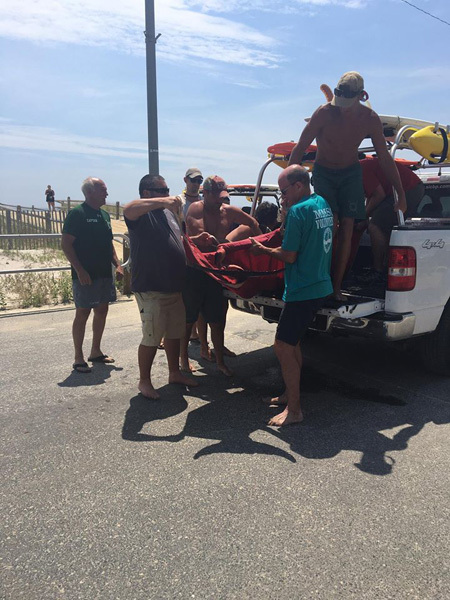 The Sea Isle Beach Patrol shared photos of multiple people rolling the dolphin onto a sling and transferring it to a waiting vehicle. 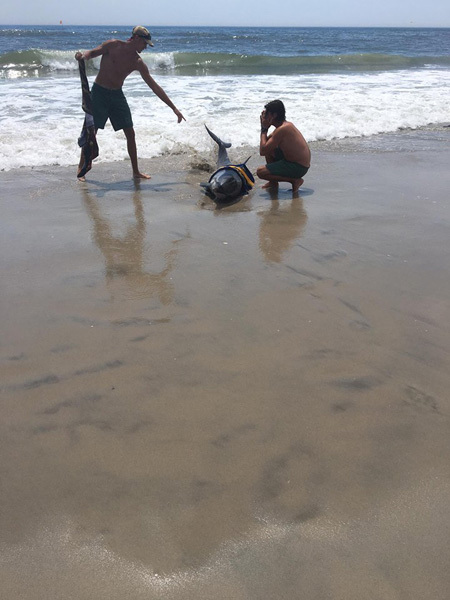 "Never a dull day at the beach! 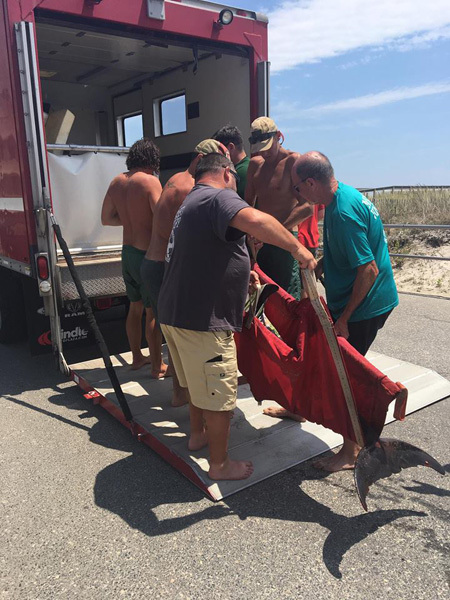 We don't just help people but animals too!" 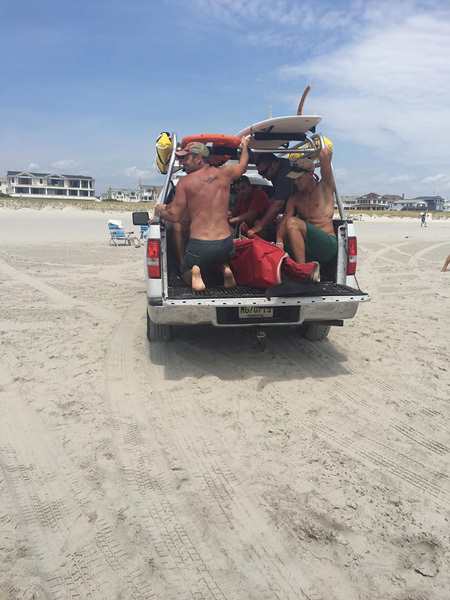 the beach patrol wrote on Facebook. 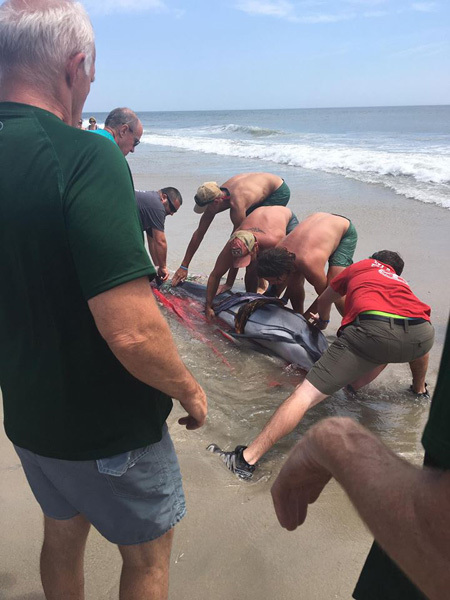 The dolphin was transported to the Marine Mammal Stranding Center to be evaluated.